Han Bee Dyeing Co., Ltd.
Sewon Precision Industry Co., Ltd.
SAMBO DYEING & FINISHING CO.,Ltd. Kyung Chang Precision Ind. Co., Ltd.
Dong II Trading CO., LTD.
EVA Coating Technology Co., Ltd.
JAEILL HWA SHUM YEUM KONG CO., Ltd.
Daehwa industrial Machinery co., ltd.
Daegu Metropolitan City is a transportation hub where Seoul can be reached within 99 minutes, four nearby ports and the Gimhae International Airport are located within an hour distance from the city and seven expressways including the Gyeongbu Expressway crosses the city. Dargu has an easy access to the world’s largest IT and auto industry complexes. 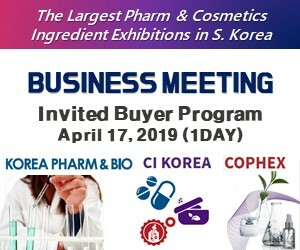 Daegu has a large market of 5.2 million consumers in nearby cities within a one hour drive and aims to become the global research and development hub in the high-tech medical industry by attracting and establishing medical companies and related research institutions. With our powerful search tools and marketing solutions, Kompass can help you better understand your marketplace and to generate leads as well as promote your company online towards a targeted audience. Find out the detail information about South Korean companies in Daegu which is registered in the Kompass B2B worldwide database.